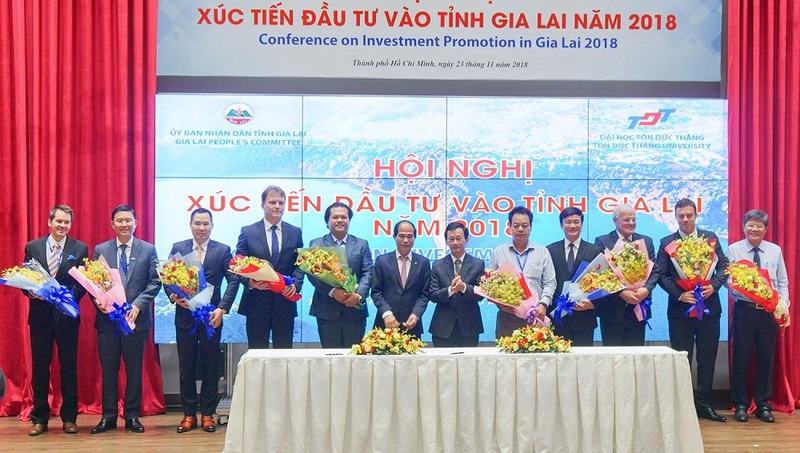 On November 23rd, 2018, Gia Lai Province in collaboration with Ton Duc Thang University (TDTU) organized The International Conference On Investment Promotion In Gia Lai 2018. There were more than 150 local enterprises and 60 foreign enterprises from 11 different countries to attend the conference, especially the ones from the Czech Republic, Poland and Slovakia. In addition, there were also the representatives of Embassies, Consulates and Trade Counselors of Australia, Malaysia, Israel, South Korea and Japan at the conference. The delegation from the Czech Republic attending the conference included Deputy Ambassador Lukas Musil, leader of BR Group, a multidisciplinary industrial production group, enterprises in the field of mechanical engineering, furniture manufacturing, environmental treatment, representative of the Chamber of Commerce and Investment Zlín Province, President of Tomas Bata University and Brno University of Technology. The conference aimed to introduce the potential, strengths, projects for investment attraction, preferential policies, and investment attraction policies to the local and foreign enterprises and investors. During the discussion session, the provincial authority provided a lot of information on the areas which were prioritized to call for investment, and cleared up the queries raised by the enterprises about the preferential policies of the Province. At the end of the conference, many projects were signed and awarded investment policy decisions. 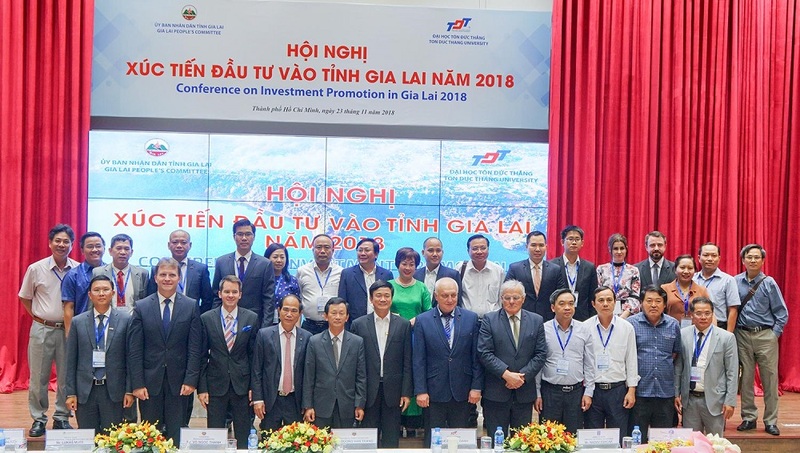 This is one of the activities of the Comprehensive Cooperation Program between TDTU and Gia Lai Province in the period 2015-2020. 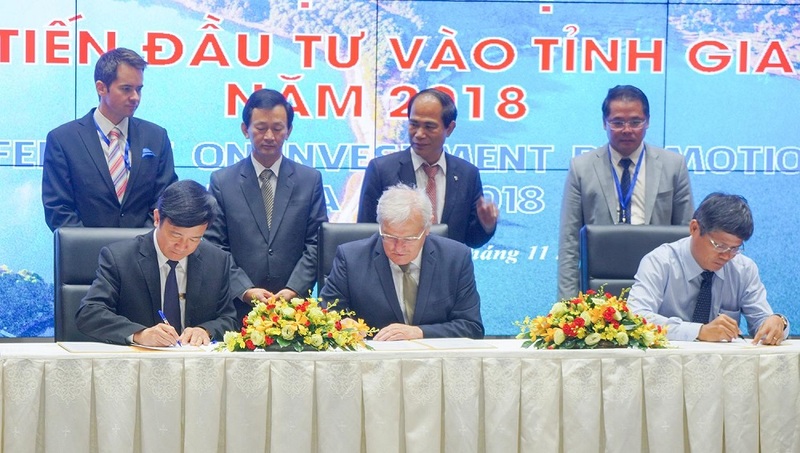 In which the European Cooperation Center and Bata Center play an important role in calling for foreign investors and entrepreneurs from Central - Eastern Europe to cooperate in trade, investment and human resource training at The provinces cooperate strategically with TDTU in particular and Vietnam in general. 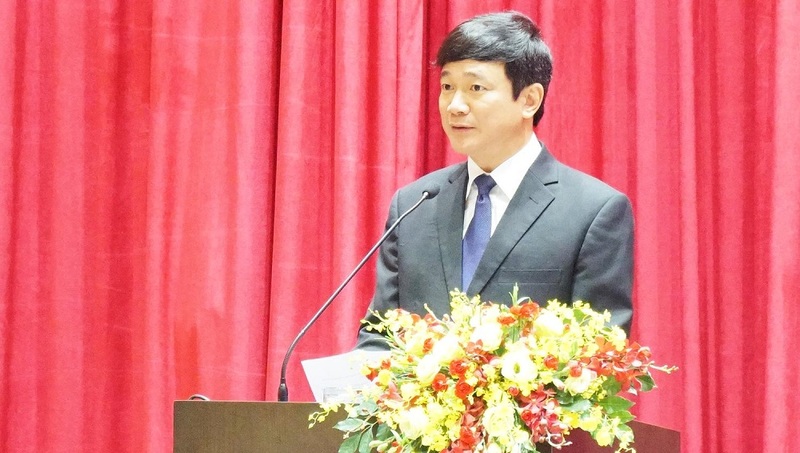 TDTU commits to accompany Gia Lai Province to build University-Enterprise-Local links effectively; contributing more positively to the sustainable development of the Province and Vietnam in particular, for the prosperity and prosperity of the world in general.